For the 14th year, the Iams Home 4 the Holidays pet adoption drive has begun. The campaign is designed to raise awareness for pet adoption and proper nutrition for homeless pets. The program began on October 1, 2012 and will run through January 2, 2013. To date, over seven million pets have been adopted out since the first year’s campaign. Iams will continue to work with the Helen Woodward Animal Center, the Canadian Federation of Humane Societies and 4,000 animal organizations worldwide to encourage pet adoption. During the holiday campaign of 2011, 1.2 million pets were adopted and an estimated 5 donated meals occurred for pets in need. Iams reports that over 75,000 animals in Canada found their forever homes last year during the campaign. Barbara Cartwright, CEO, Canadian Federation of Humane Societies reported that with as many as 36 percent of animals euthanized in Canada yearly, that this campaign sets out to debunks shelter animals myths and help pets find their forever homes. The Iams Home 4 the Holidays campaign began in 1999 with 14 shelters participating in the San Diego County area. 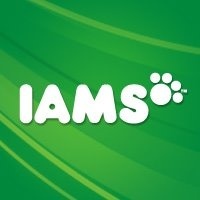 For more information about the campaign or to find out how to get involved, visit their Facebook page at www.facebook.com/Iams or visit www.iams.ca. The official website of Helen Woodward Animal Center is animalcenter.org or Facebook.com/helenwoodwardanimalcenter for their Facebook presence.